In conversation with the designer behind the brand’s very first women’s collection. 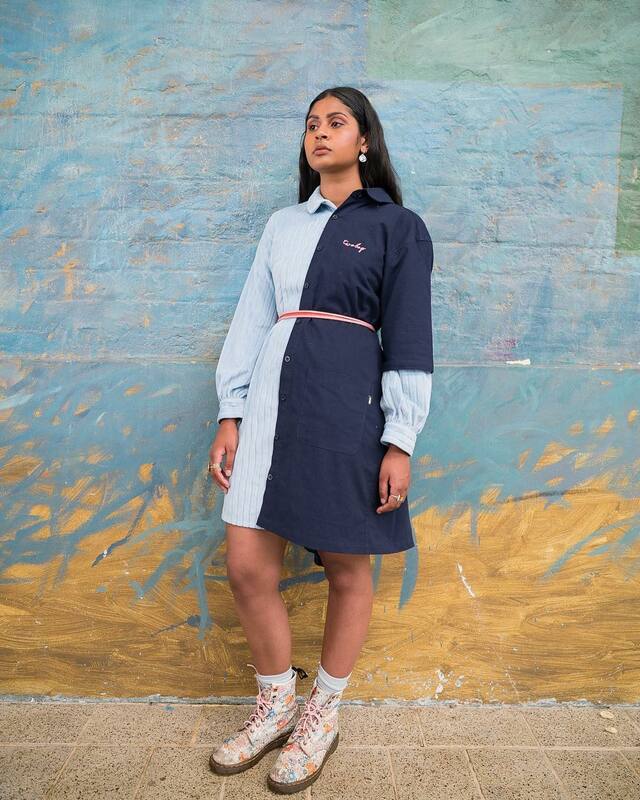 Perennial Cape Town favourite, Twobop has been pushing the boundaries of street wear and creating a uniquely Capetonian aesthetic for years now. 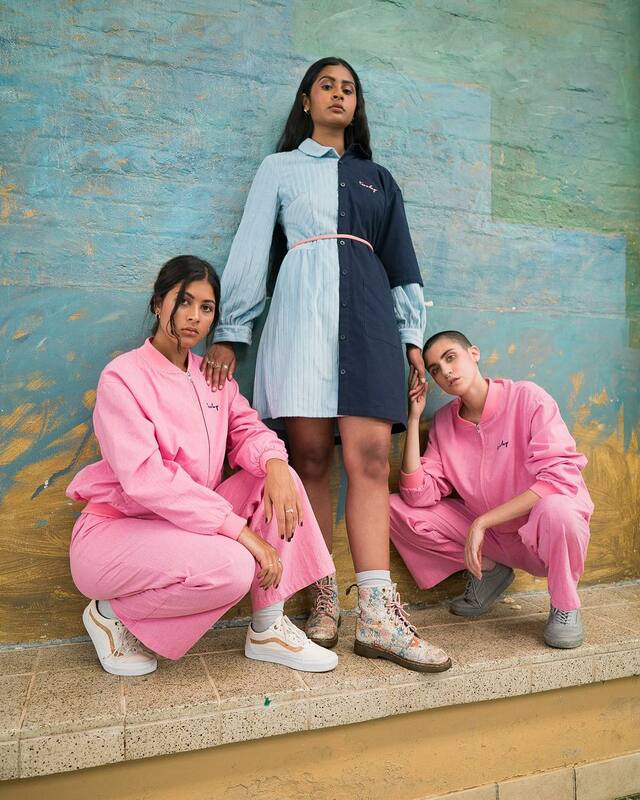 Founded by Anthony Smith in 2004, the brand has been moving the South African streetwear movement and culture forward ever since – but despite becoming a staple amongst local fashion lovers, the brand had yet to design a range specifically for women. 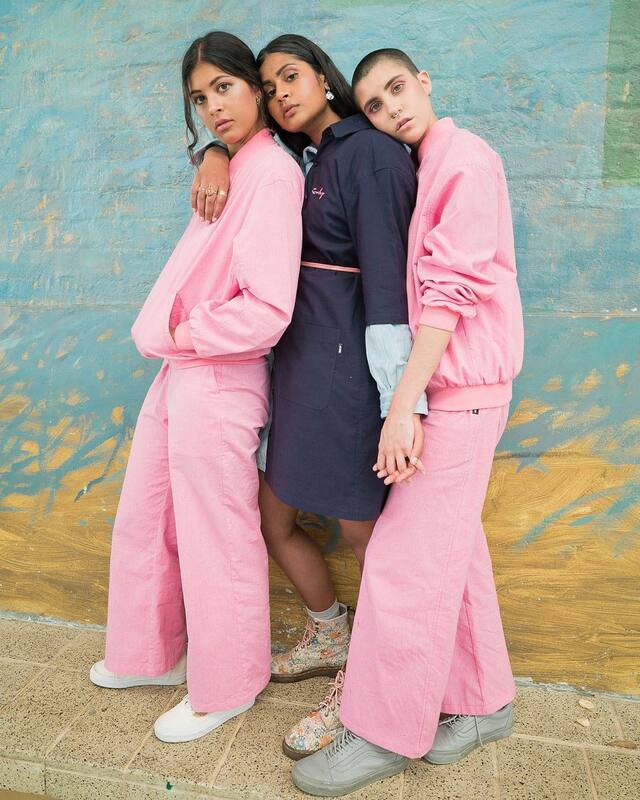 Once designer and Cape Peninsula University of Technology graduate Ulfah Davids entered the mix that all began to change, and December saw the brand celebrate the launch of their first ever women’s collection. We caught up with Davids – known as the First Lady of Twobop – following the release of the range and asked her to tell us about her inspiration for the collection and how she sees the South African fashion game changing. I started studying when I was 21, doing fashion design at the Cape Peninsula University of Technology and graduated this year. I always loved fashion and the ability to be able to express yourself through this medium. I was just never sure whether I wanted to do fashion design or go a different route within the fashion industry. My grandmother worked for Woolworths and made clothes from home. She also had the best style and it was something I always aspired to growing up. I guess it just got passed down to me! When did you begin working with Twobop? How did your relationship with them come about? I started working with them around mid-2016 immediately after I graduated and interned for three months. I worked hard to showcase my skills and the founder, Anthony Smith, decided to keep me. We were introduced a few years back by a mutual friend and we came into contact many times at events. So we kinda knew each other before I proposed the idea of wanting to do a women's collection. Why do you think Twobop has been such a success in Cape Town? What do you think the brand represents to people? When did Twobop begin considering a women’s collection, and what made you guys decide that now was the right time? They weren’t. When I approached Anthony about it, it was something that they weren’t considering at the time, but when he saw my level of skill he agreed to do a women’s collection. This collection was actually meant to be a winter 2016 collection but something changed and it was pushed back. 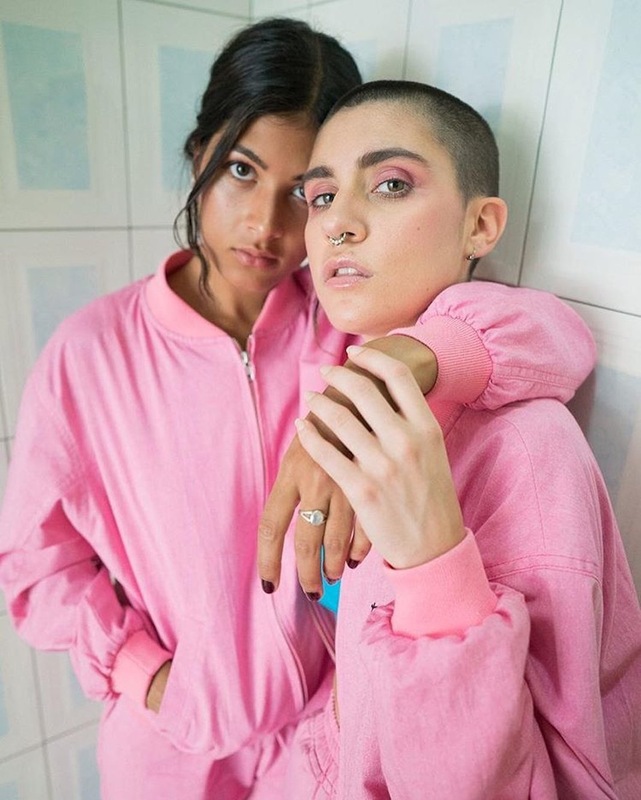 What specifically inspired the aesthetic of your women’s collection for Twobop? Workwear. I am interested in workwear from the early 90s, the rugged construction workers uniform, the deliveryman, etc. I intitially fell in love with the colour indigo but since we moved the collection earlier for summer, I needed to integrate lighter colours to fit in with the season. The mint and pink appealed to me as they seem to be trending and just gave everything a more feminine feel. How has the collection been received thus far? Is this the beginning of a regular line for women from the brand, or just a once-off experiment? What do you find the main differences are in designing clothes for women versus men? It’s difficult for me to say as I find more and more women wearing men’s clothes. I based the entire women’s collection on men’s patterns! The only items of apparel that I used female patterns for were the bottoms. I specialise more in menswear. Do you design with a specific audience or wearer in mind? Yes, my target market is basically women who aren't necessarily feminine in their choice of clothing but also aren't too masculine and I always try to design for comfort and what would I feel comfortable wearing being a female. I also think about designing items that you could dress up or down, so it's not all just oversized - there's a little structure. When you begin thinking about a collection, where do you begin – with a theme, fabric, a colour scheme? I do extensive research and pick things up as I go along. From there, certain colours will stick out for me, I will look at how the colours tie in with the theme and then integrate them into a collection. What other brands or designers inspire you and your work? Why? I don’t really look to designers for inspiration. When I need something to inspire me, I go to the streets, as that is where my love for fashion came from. I love the fact that people overlook the simple man walking the road with an understated tailored pants, I love the fact that they are not flashy, I even love the odd bergie wearing designer clothing. What do you think of the current state of South African fashion? How do you think it is changing or needs to change? I believe we are getting there and finally being handed a platform to showcase all of South Africa’s talent. Yes, the market is getting bigger but the replica and copy market is still so diluted and still affecting local designers. I see more South African designers getting recognition internationally and locally supported by their communities. Street wear is getting more credit because sport-luxe is one of the biggest trends of 2016 and people are being more adventurous when it comes to fashion, people are having more freedom to express themselves and not just blindly following trends. People are dressing more for comfort because the corporate world has become a bit more relaxed. Follow Davids on Instagram and Twitter. Twobop is stocked at Corner Store and Baseline in Cape Town, and at DIP ST Store and Thesis Lifestyle in Johannesburg.